America’s Judge is Back for Season 8! 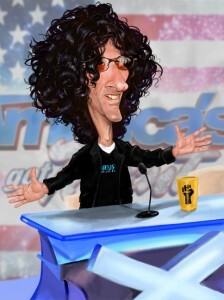 “America’s Judge” Howard Stern has resigned on for Season 8 of America’s Got Talent. Explaining that the experience was terrific last year. The radio star made his announcement on his uncensored SiriusXM show this morning. NBC also issued an announcement stating they were thrilled that Stern would be returning this summer. “Howard Stern’s towering presence and opinions on last season’s show as a new judge made a dramatic impact and added a sharper edge to the fascinating developments on stage,” was the reaction from NBC president of alternative and late-night programming Paul Telegdy. Laura Ingraham quits radio for modern dance?